Come See Us For Weatherford Emergency Dentistry! Dental injuries happen all the time, and they can be caused by just about anything, including sports or simply hitting a tooth on a glass. They can range from minor to catastrophic, but despite the differences, one thing remains the same: when one occurs, you need to seek out dental care as quickly as possible. This is the best way to relieve your pain and save your smile. So, if you’re in Weatherford and suddenly have a dental emergency, there’s only one thing you need to do: call Dr. Thomas Novak. Our team is specially trained to handle a wide array of dental emergencies, and we’ll often be able to see you much faster than an emergency room or clinic. When you call in with an emergency, we’ll make an appointment to see you as soon as possible (preferably the same day), and our team will start to walk you through basic first-aid. Once you reach our office, you won’t wait—we’ll quickly bring you to a treatment room and get to work. Most of the time, we can complete an emergency treatment in just one appointment, but if we can’t, we’ll be sure to take away your pain and schedule a quick follow-up visit. No matter what your emergency is, you can always trust that we’ll be able to take care of it. When Should I Call My Emergency Dentist? 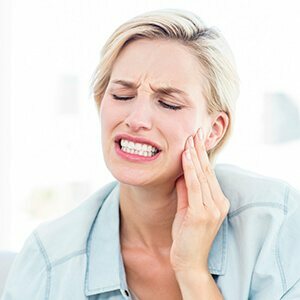 If you would like to get more tips on how to handle a dental emergency or how to avoid one altogether, please contact us today!